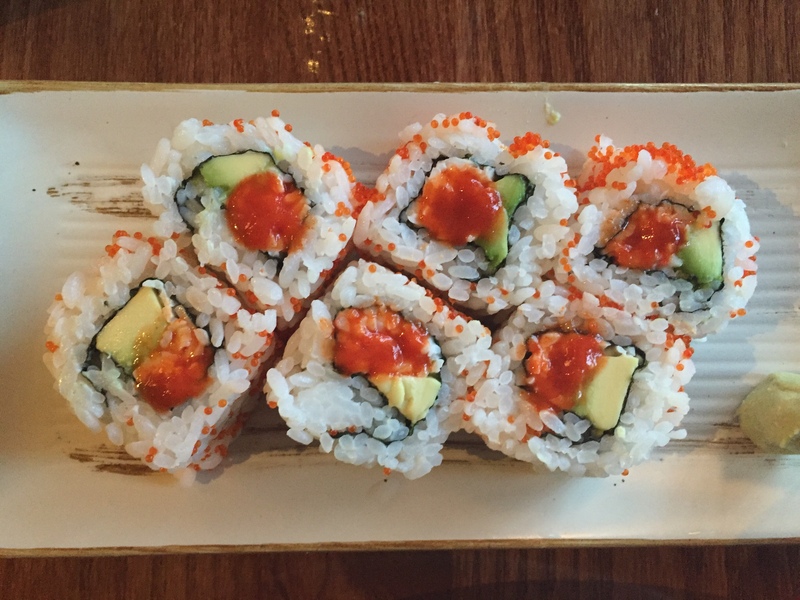 We love sushi, we really do! 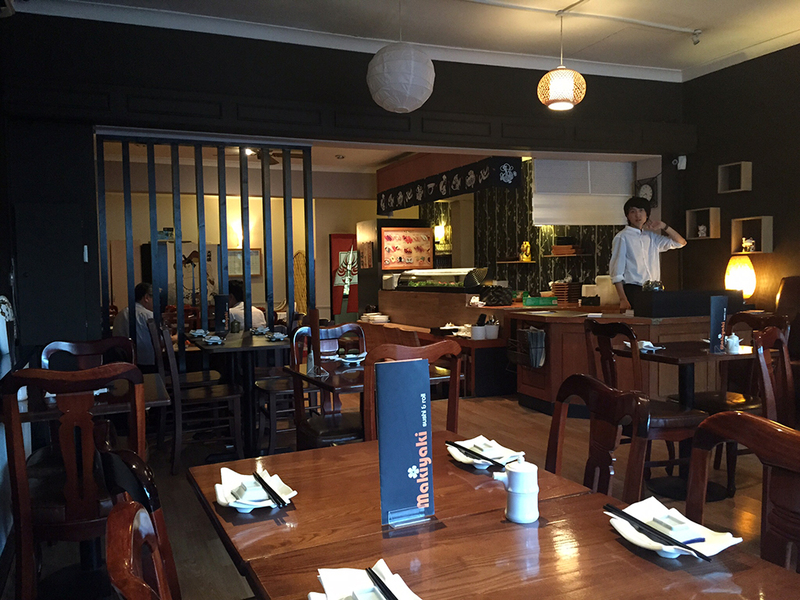 Makiyaki in Wimbledon has been on the sushi hit list for a while now so on a hot summers day it was the perfect cuisine to have. To start with we had Natsu Agedashi. Loved this dish, we are aubergine fans and love to try dishes belonging to our purple veg pal. The dish consists of pieces of aubergine deep fried in katsu crumbs and served in warm house soya sauce. It was sweet and savoury all at once. We went all out on the sushi but have to admit it will take weekly visits for about two months till we get through the menu. We had the Scallop Volcano which had an eruption of caviar on top. 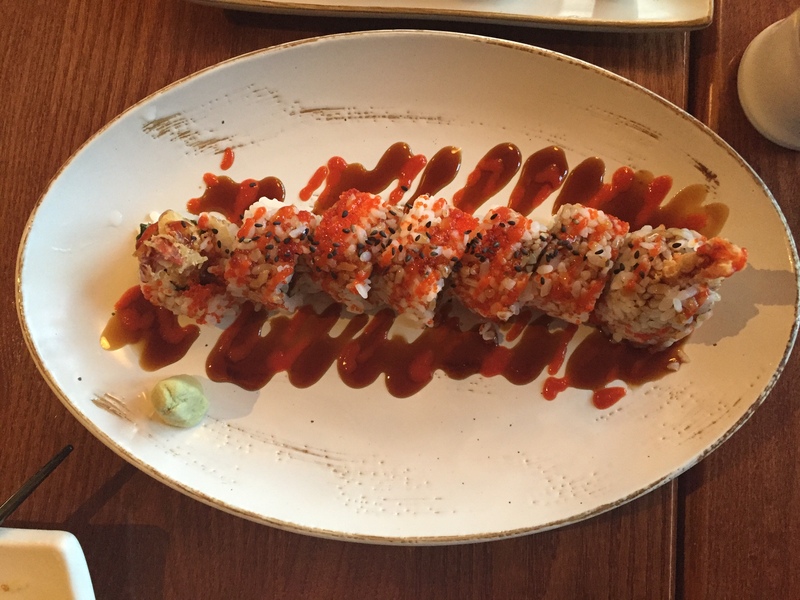 The sushi had scallops as the name suggests, octopus, crab stick, shrimp and red snapper. It was pretty sweet and I just loved the soft texture throughout. It all just melted in your mouth and was such a joy to eat. The Kingston was another hit with tempura prawns and chilli. Very yummy and I do love a good crunch in the centre. The Salmon Tampura Roll was another favourite with a juicy piece of soft avocado in the centre. I have never had salmon tempura but it just make the fish even more flakey. The presentation at Makiyaki I must say needs a bit of work especially when you are competing with the likes of Stick’n’Sushi down the street. 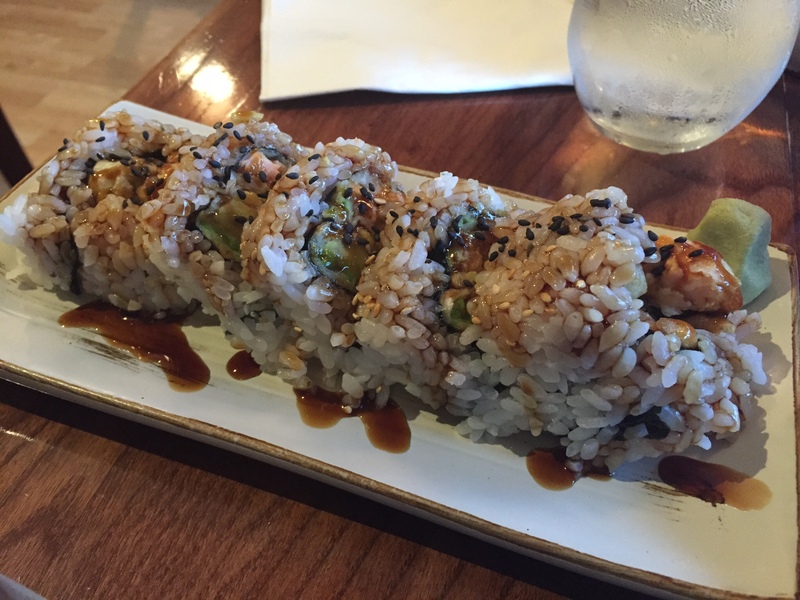 I like to think of sushi as an art form and as you can see from the pictures it doesn’t have the high finishing skills we are used to seeing. Nevertheless, the flavours and textures are good. The staff are lovely and the interior is so quant. 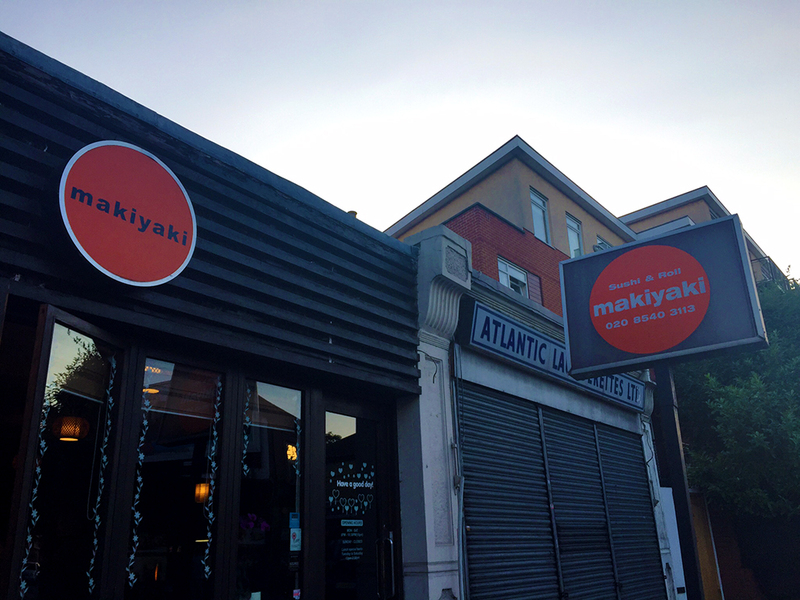 We do look forward to returning and sampling the other million sushi types on offer at Makiyaki.